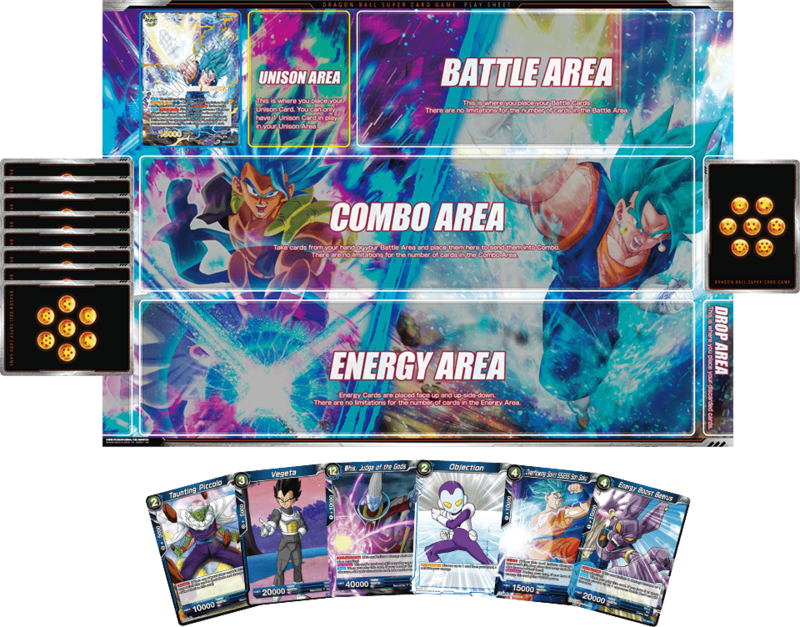 DRAGON BALL SUPER CARD GAME is a two-player competitive trading card game! 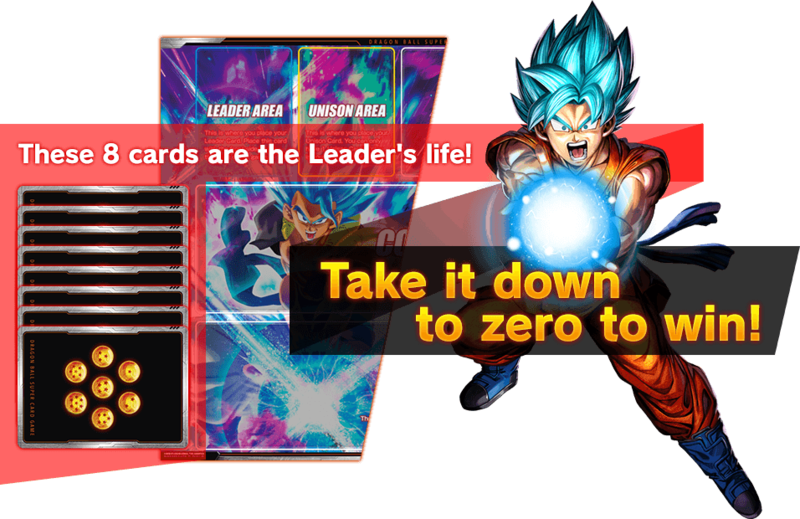 Players make decks of 1 Leader Card and 50 Battle Cards/Extra Cards to fight it out! 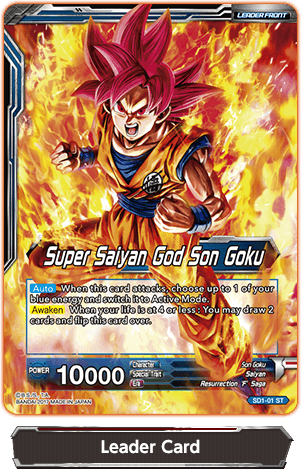 The game lets you experience the blazing-fast battles of Dragon Ball in a card game! 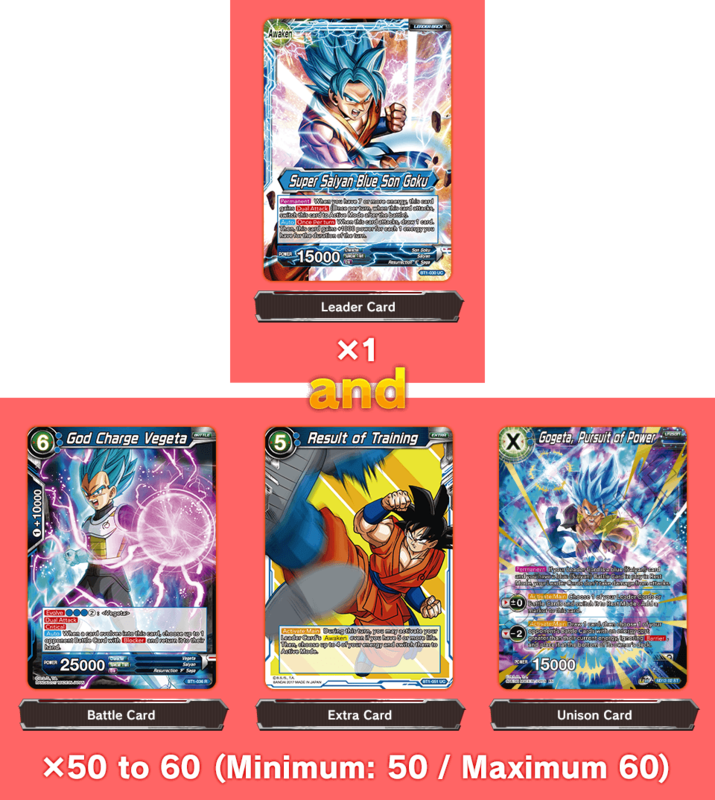 These cards are the core of your deck! They're placed on the field at the beginning of the game! These cards are essential to battle! A huge cast of characters engage in white-hot battle! 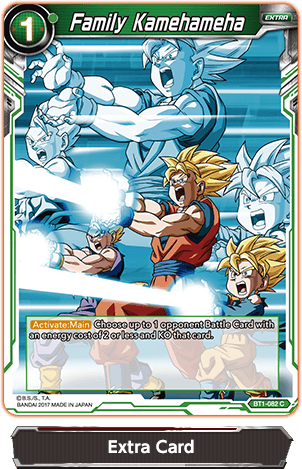 Battle Card uses Anime illustrations. Powerful cards to take control! Use them to expand your battle strategies! 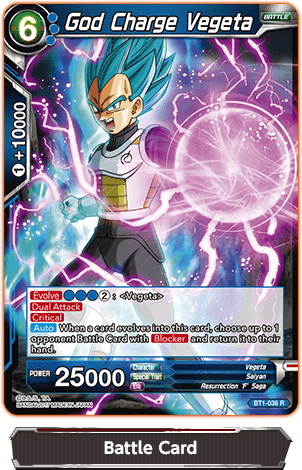 Extra Card uses Anime illustrations. The first player to deal enough damage to the opponent's Leader Card to reduce its life to zero wins the game! you can feel the evolution and fierce battles of Dragon Ball! 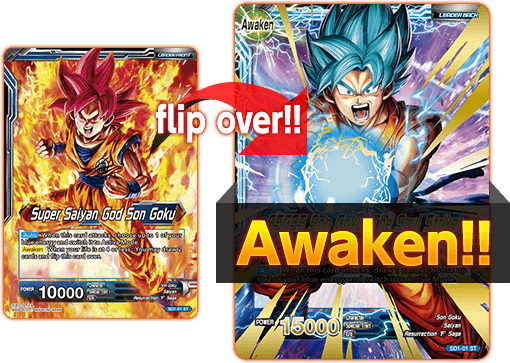 your Leader Card can Awaken! Attain new power and turn the tables! 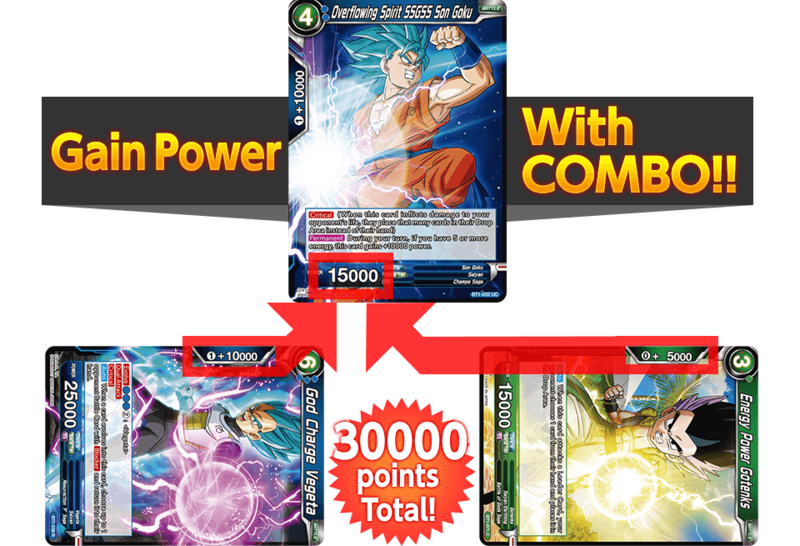 Pull off Combos with your allies to support your characters in battle! The fights get even more intense! Place your Leader Card face-up in your Leader Area in Active Mode. Then place your Deck face-down in your Deck Area. Decide which player goes first at random. Draw 6 cards from your deck. These cards are your hand! You have 1 chance to re-draw! ☆Return any number of cards to your deck, shuffle, then draw the same number of cards. Place 8 cards from the top of your deck into your Life Area face-down. ☆You can't check the cards in your Life Area during the game. A turn follows these 3 phases. Players alternate their turns. Follow this order in the Charge Phase! 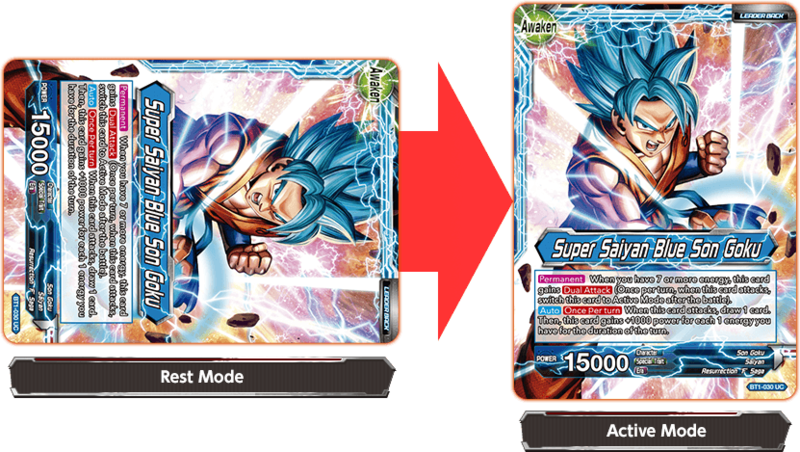 1.Switch all your Rest Mode cards to Active Mode! 2.Draw 1 card from your deck. 3.Place 1 card from your hand into your Energy Area in Active Mode. Carry out these actions as many time as you like in the Main Phase! Proceed to your opponent's turn.